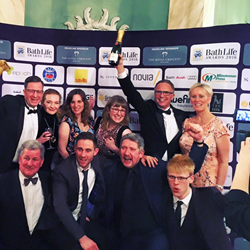 The Minuteman Press franchise in Bath, England was the big winner at the Bath Life Awards 2016 in the Business Services category. They were recognized for providing high levels of support and helpful service to local businesses in the community. 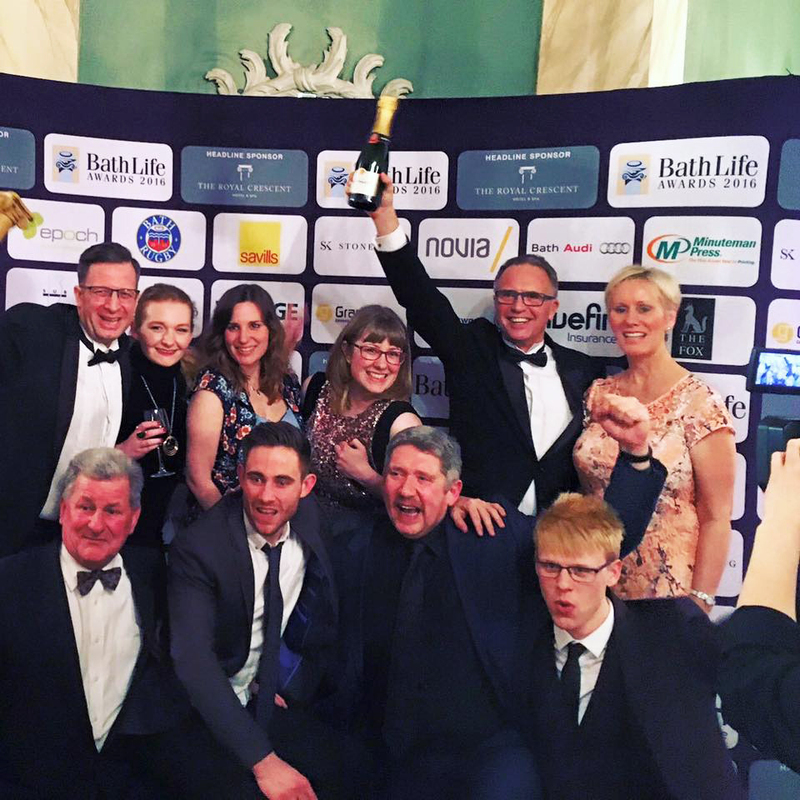 When announcing the award to Minuteman Press for the Business Services category, the Bath Life Awards judges stated, "Vital support for so many Bath businesses. Always helpful, great problem-solvers and continue to invest in tech innovations." The Minuteman Press franchise in Bath were honored to win Best Business Services provider at the Bath Life Awards 2016, which recognizes local businesses for their hard work in serving the community. When announcing the award to Minuteman Press for the Business Services category, the Bath Life Awards judges stated, "Vital support for so many Bath businesses. Always helpful, great problem-solvers and continue to invest in tech innovations." Minuteman Press owner David Ghent opened the Bath center in April 1998 with two staff members. Over 17 years later, David now has 15 employees and his design, print and marketing business has become an integral part of the Bath business community. "David and his team at Minuteman Press Bath continue to make strides and push the boundaries when it comes to growing the business," said Mark Jones, Minuteman Press Area Manager for the United Kingdom South region. "They have worked with many businesses and organizations over the years. Offering marketing solutions, Minuteman Press continues to help small independent companies through to international brands reach out to their own customers." Jones added, "David's positive can do attitude is infectious and it instills confidence and believe within his customers as well as his own staff members who are then inspired to reach their own goals. Minuteman Press in Bath deserves every accolade that they get and I'm sure this one won't be the last." For more information on the award-winning Minuteman Press in Bath, England, visit their website at http://www.minutemanbath.co.uk. Serving the business community for over 40 years, Minuteman Press’ customer service driven business model provides digital print, design and promotional products and services to businesses from concept review through to completion. Today we are much more than just print; we can provide anything you can put a name, image or logo on! Our new slogan – We Design, Print & Promote… YOU! – indicates the wide variety of products and services we offer that go beyond printing. For more information about our products and services or to find your local Minuteman Press, visit http://www.minutemanpress.com. Repeatedly ranked #1 in category by Entrepreneur Magazine, Minuteman Press International is a top rated business service franchise that offers world class training and unparalleled ongoing local support. Minuteman Press opened in 1973 and began franchising in 1975. Today, there are more than 900 locations worldwide including the U.S., Australia, Canada, South Africa, and the United Kingdom. Minuteman Press aims to grow to more than 1,000 franchises within the next three years. Prior experience is not necessary to own and operate a successful Minuteman Press franchise. 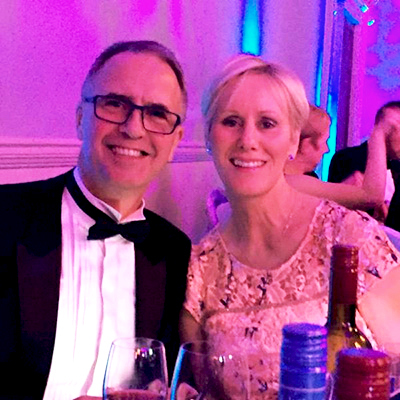 Minuteman Press in Bath celebrates their win for Best Business Services Provider at Bath Life Awards 2016 David and Angela Ghent Minuteman Press franchise locations offer a wide range of creative design, digital printing and marketing services to businesses and clients.